WordPress is currently the most popular platform for creating websites. One can build his website in WordPress on shared hosting service or in dedicated servers. Both means have their advantages and disadvantages, like when you use shared hosting service you have your environment ready, you will only work in your website/blog having little control over the underlying environment. On the other hand when you use dedicated servers you have full control over your environment but you are liable to configure, administer and manage your environment in addition to building or maintaining your website/blog. As you are going to deploy WordPress in dedicated server you need to install and configure each components necessary which needs great effort even for experts(especially when errors encountered). To make the deployment easy in dedicated server here comes the Bitnami WordPress images which are pre-installed and configured with all the needed components to launch a WordPress site. 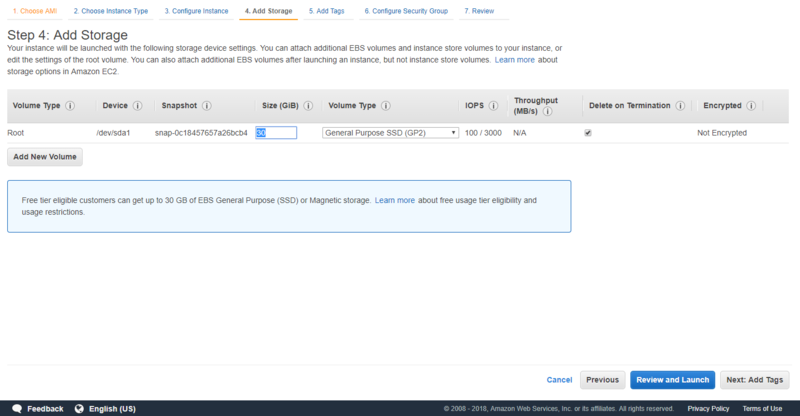 Today i will demonstrate how to launch a Bitnami EC2 instance in amazon AWS. 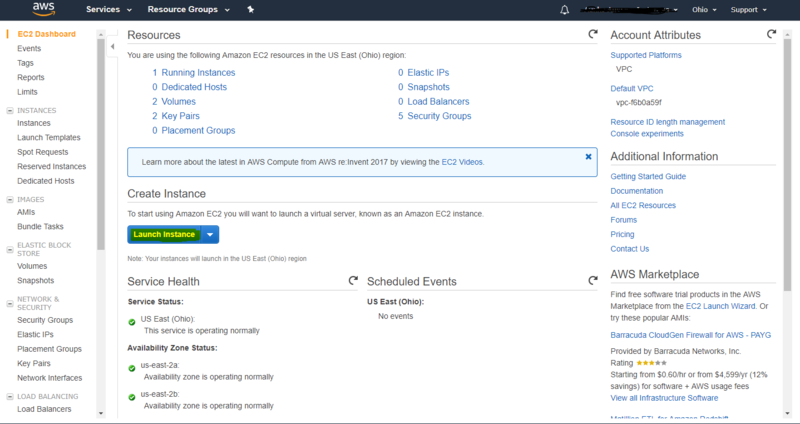 Connect to your amazon web services console. 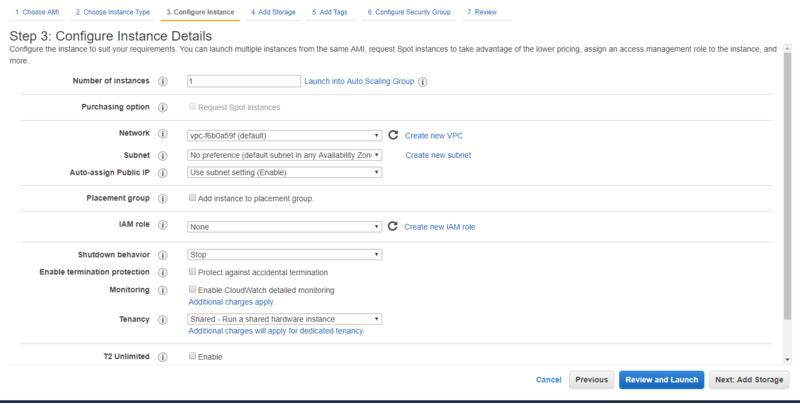 Under Create Instance section select the Launch Instance. 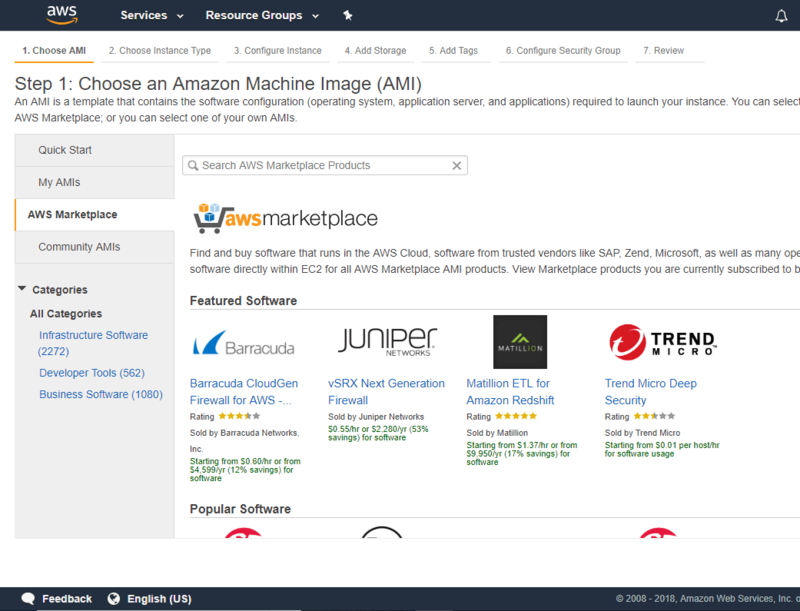 This will redirect you to the Step 1: Choose an Amazon Machine Image (AMI): Choose the AWS Marketplace and search for WordPress, you will see the WordPress Certified by Bitnami images. 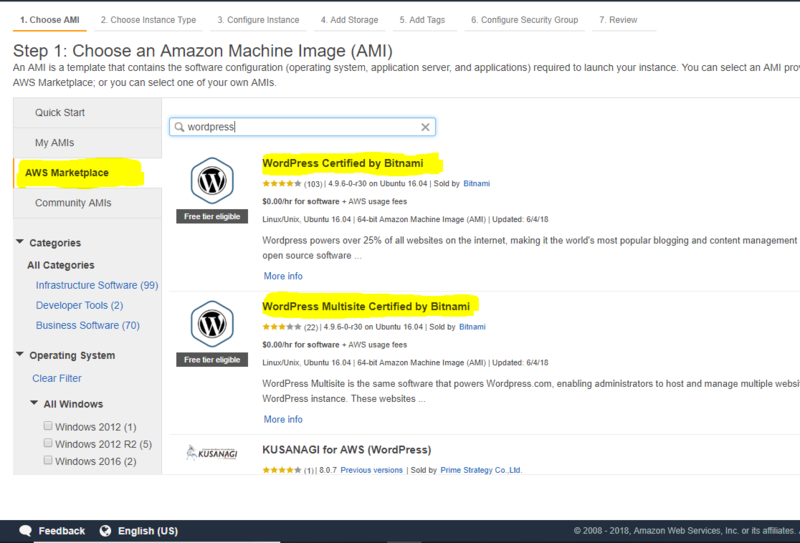 If you are going to use your instance to host multiple site then select the “WordPress Multisite Certified by Bitnami” otherwise select the “WordPress Certified by Bitnami” to deploy only a single site. Select Continue will redirect you to the Step 2: Choose an Instance Type: Select the instance as you are planned to according to your budget, for the demo we will use the Free Tier t2.micro instance. Select “Next: Configure instance details” will redirect you to the Step 3: Configure Instance Details: leave the defaults, we won’t change anything here. Select “Next: Add Storage” will redirect you to the Step 4: Add Storage: defaults is the 10 GB, for free tier you are eligible to use 30 GB, so take the advantage. Select “Next: Add Tags” will redirect you to the Step 5: Add Tags: add a tag like bitnami-wordpress. 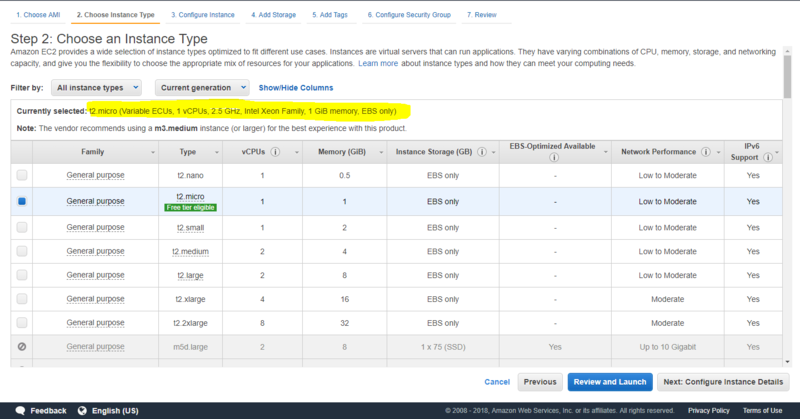 Select “Next: Configure Security Group” will redirect you to Step 6: Configure Security Group: This is crucial to your instance as it will let you access the instance by various means, leave the defaults is sufficient for you to access the website and connect by SSH. 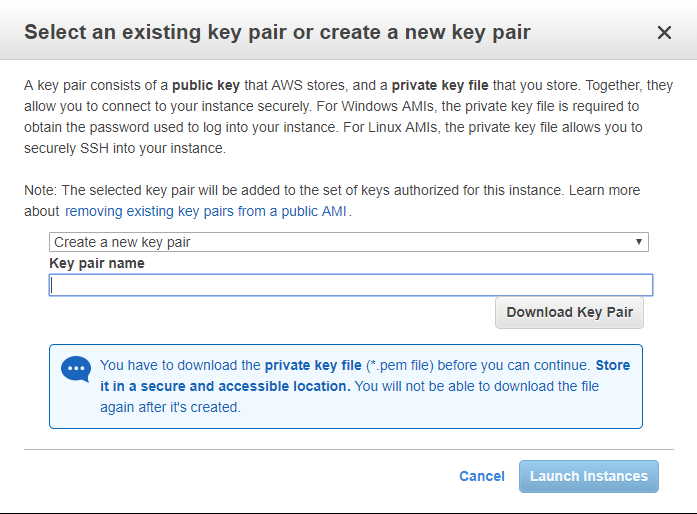 Select “Review and Launch” will lead you to the final step of launching Bitnami instance, choose the Launch. 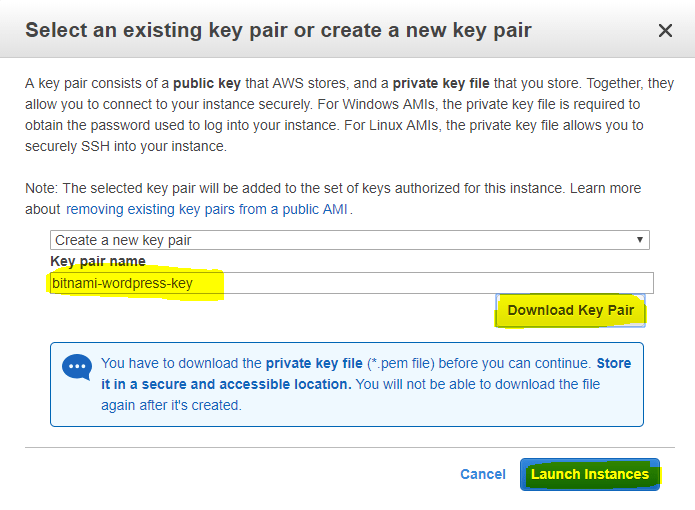 Select the Create a new key pair when prompted, give Key pair name and Download Key Pair. Finally Select Launch Instances. After completion Launch Status will be shown. Select the View Instance. 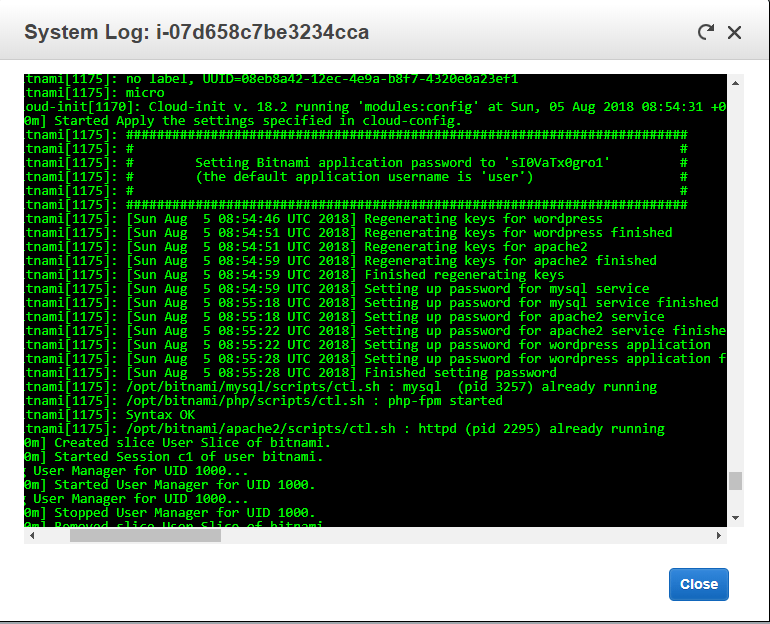 Now extract the default username and password for your Bitnami application. 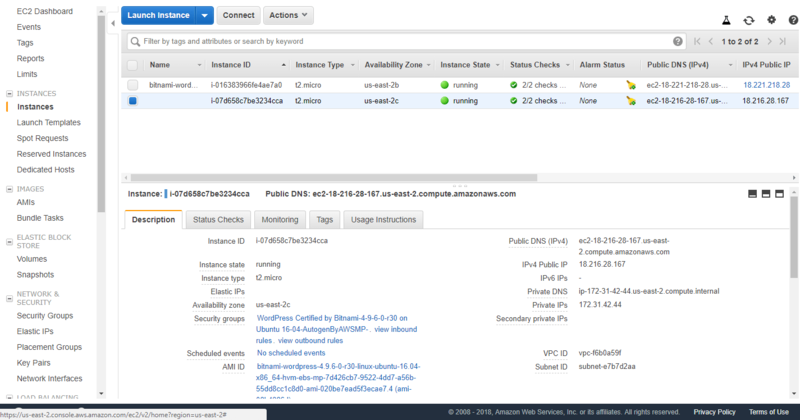 From the Instances page select the launched instance, then select Actions > Instance Settings > Get system Log. Scroll down in the System Log window and find the section where the user and password is showing. 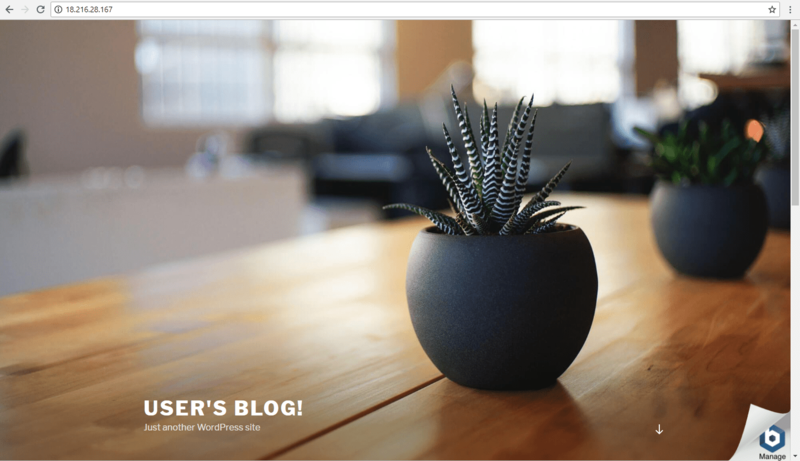 Note the username and password for the future use to login to the wordpess blog, mysql database and phpmyadmin. 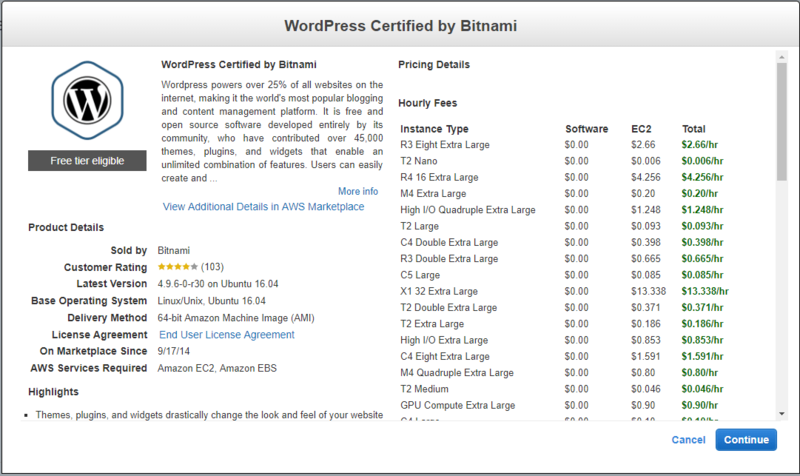 The next step is to browse the WordPress blog/website you deployed by Bitnami WordPress image on AWS EC2 cloud. 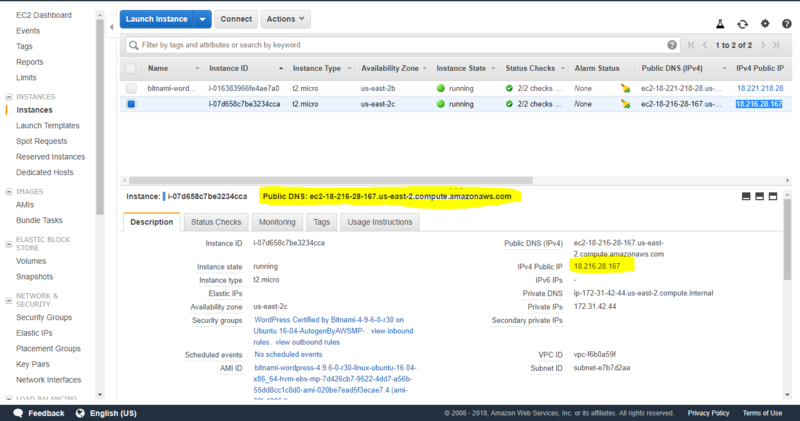 Find out the Public DNS or Puiblic IPv4 IP of your launched Bitnami instance. Copy the Public DNS or Public IP and put it to your browser will load the blog configured by Bitnami.